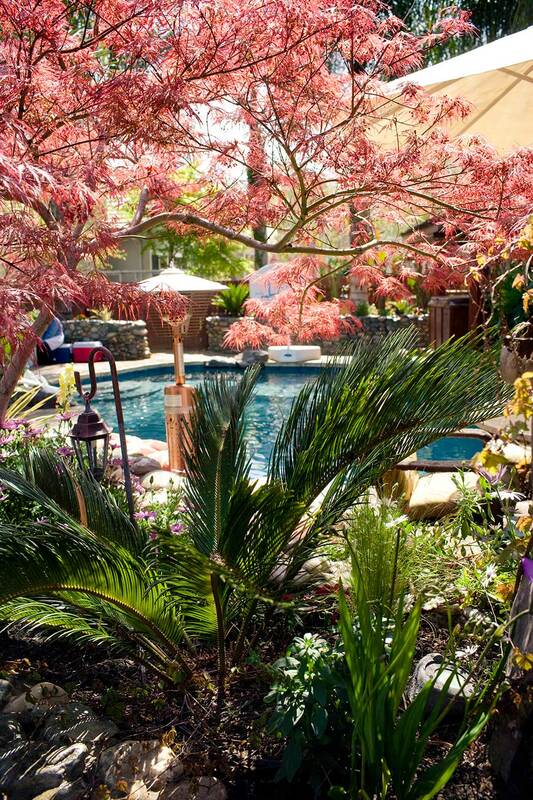 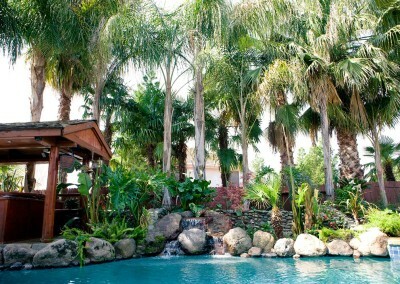 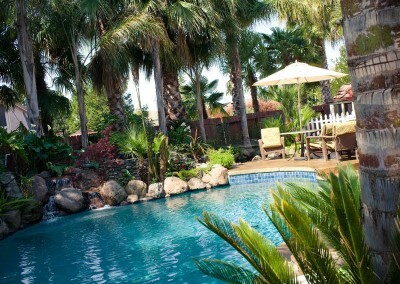 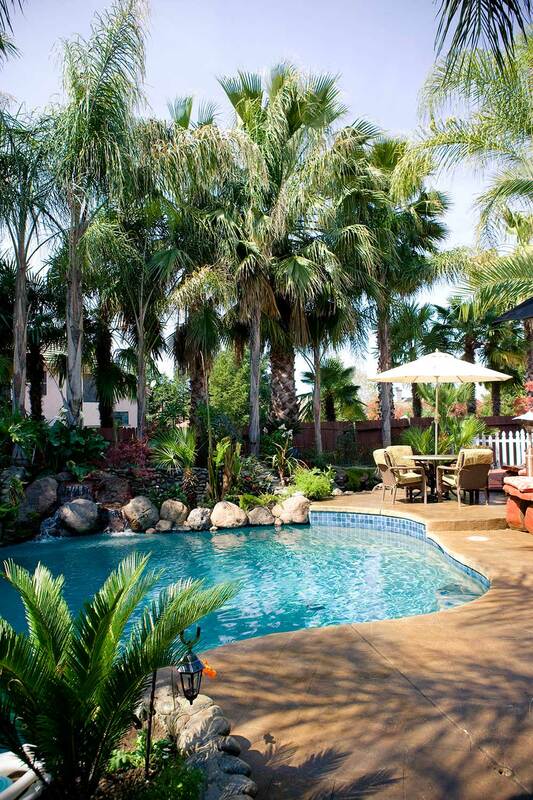 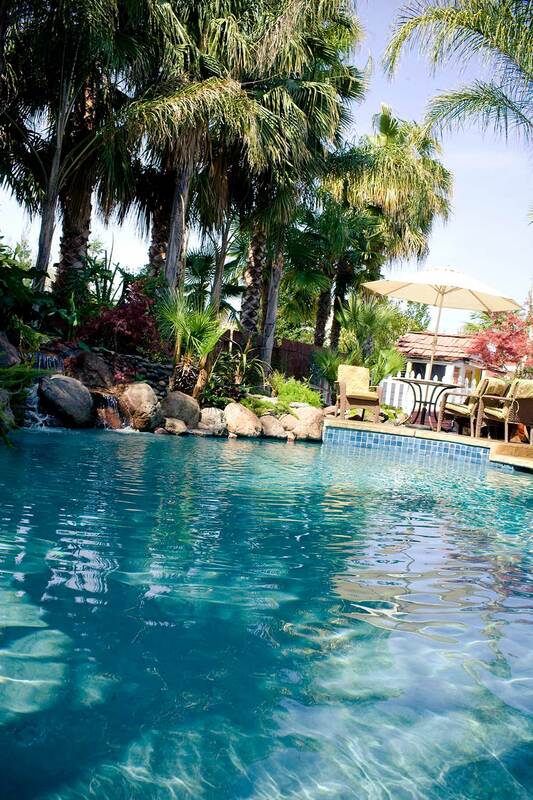 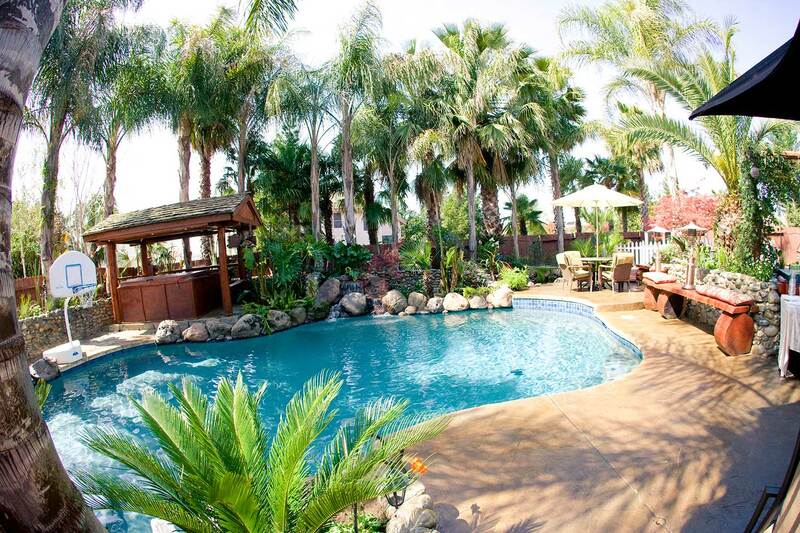 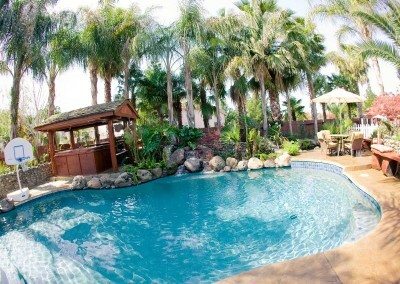 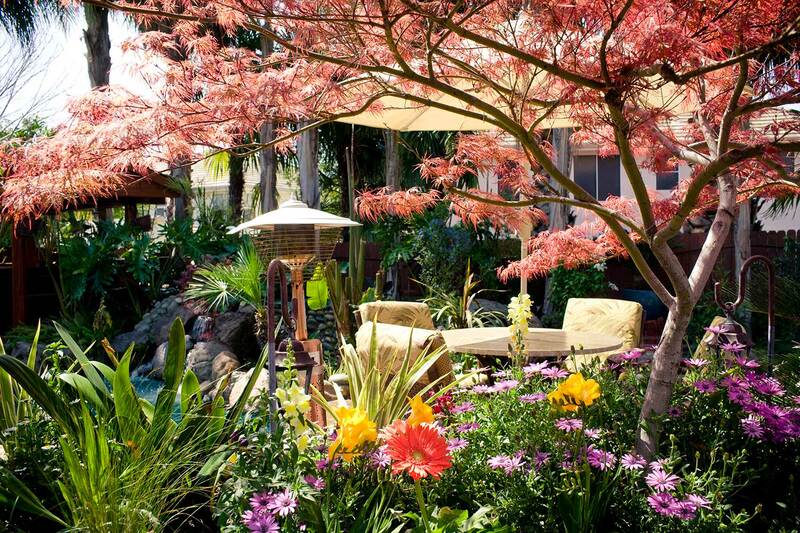 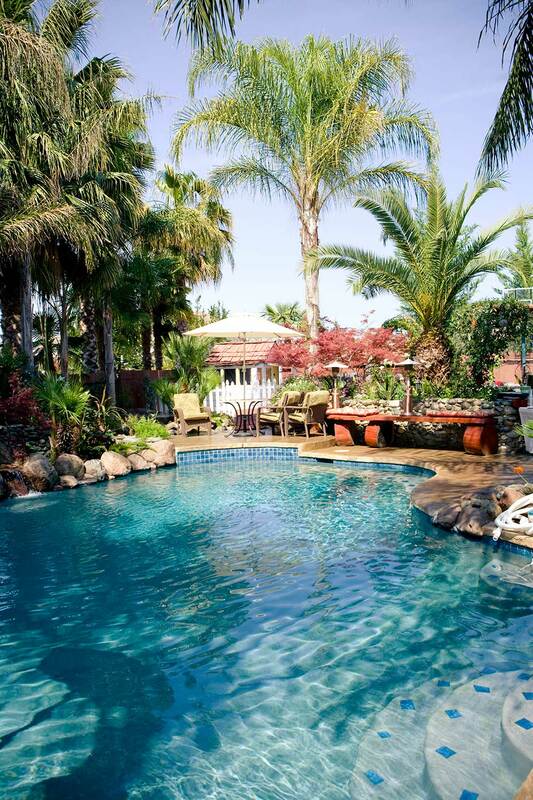 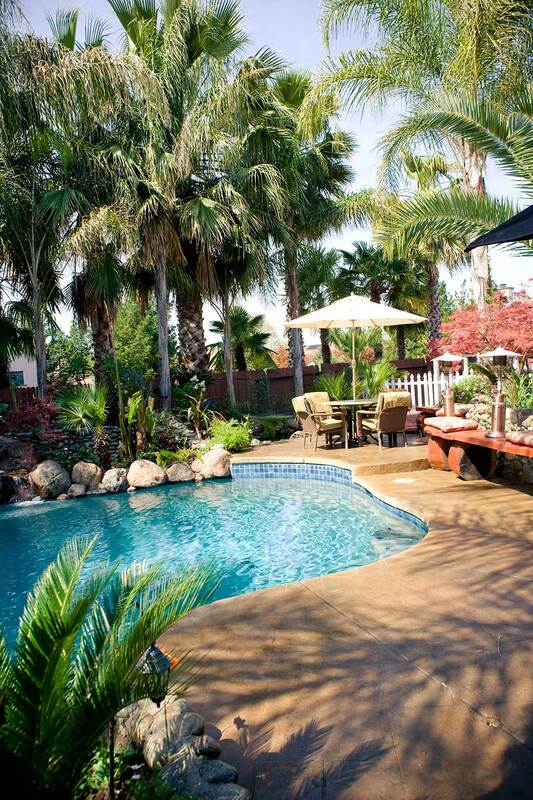 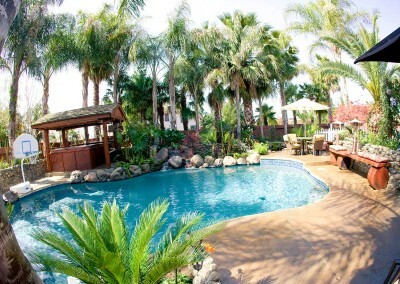 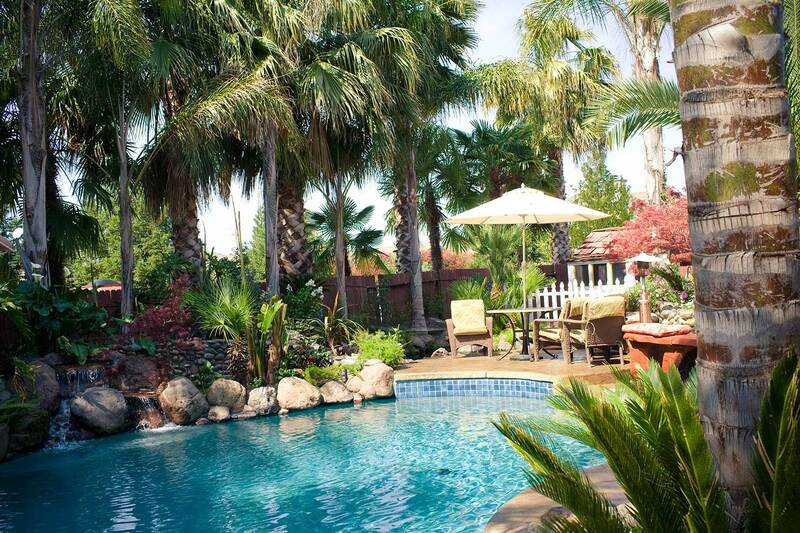 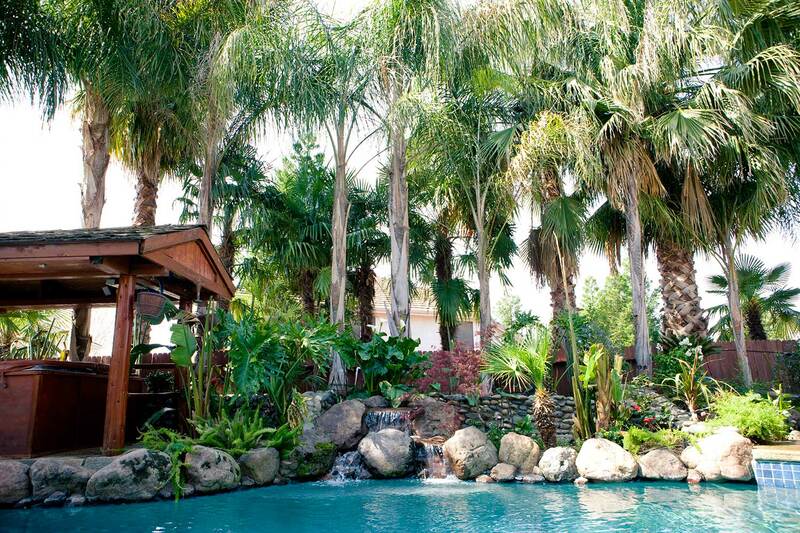 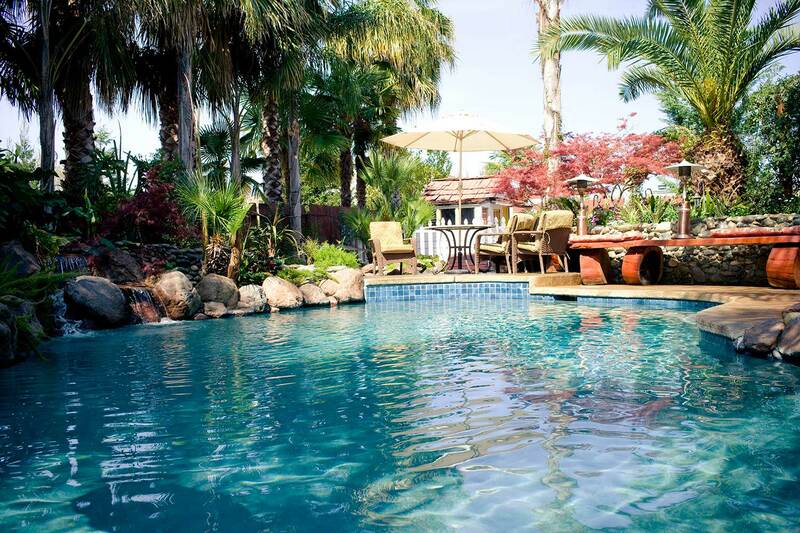 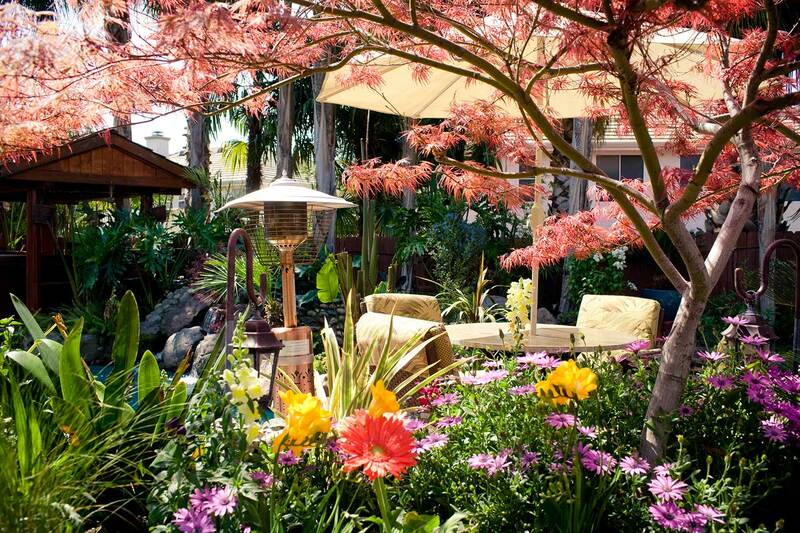 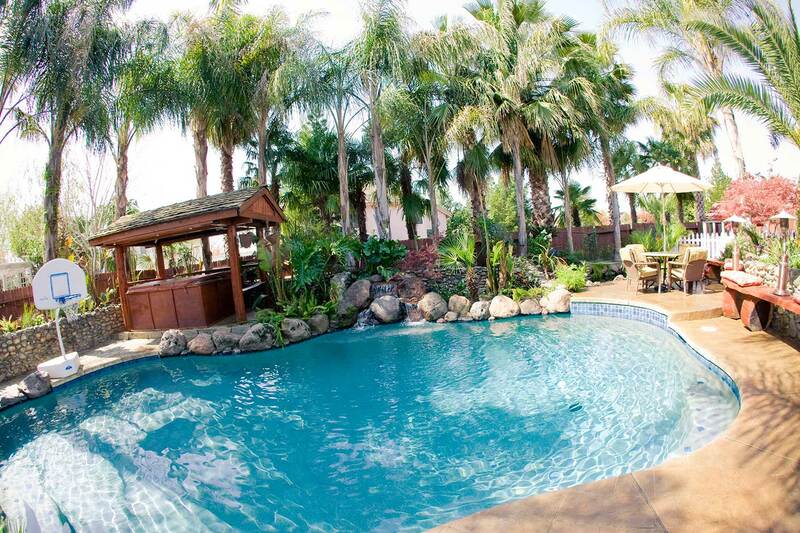 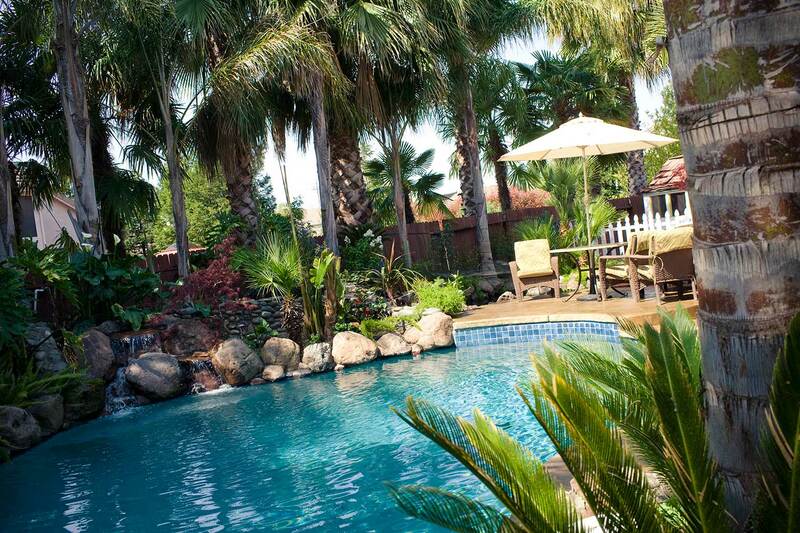 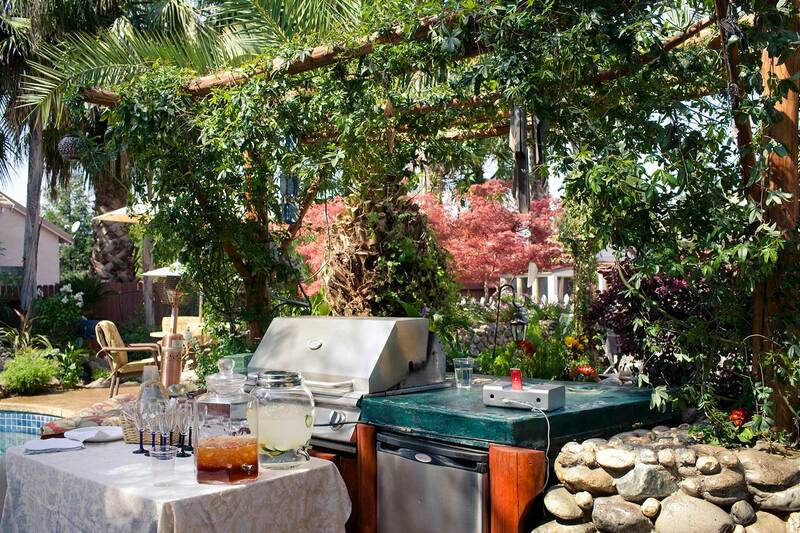 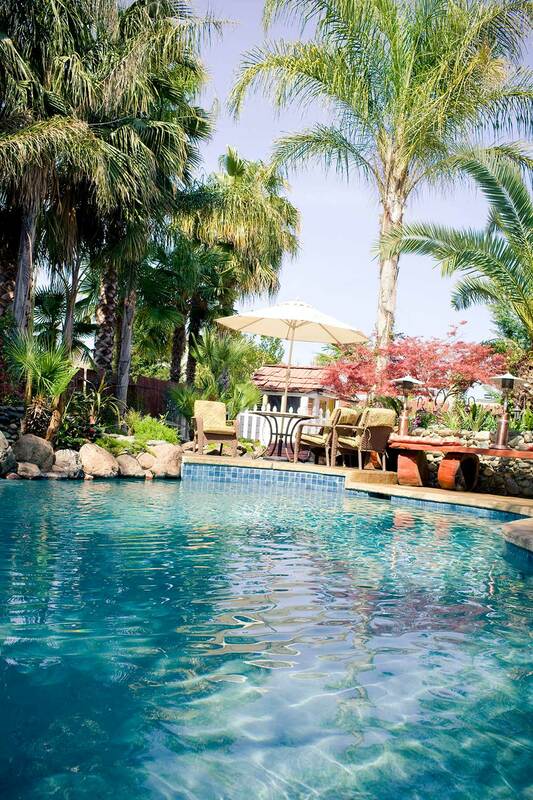 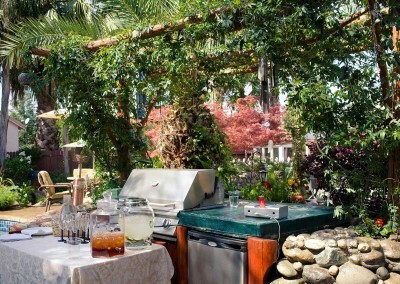 This backyard oasis has countless features and upgrades. 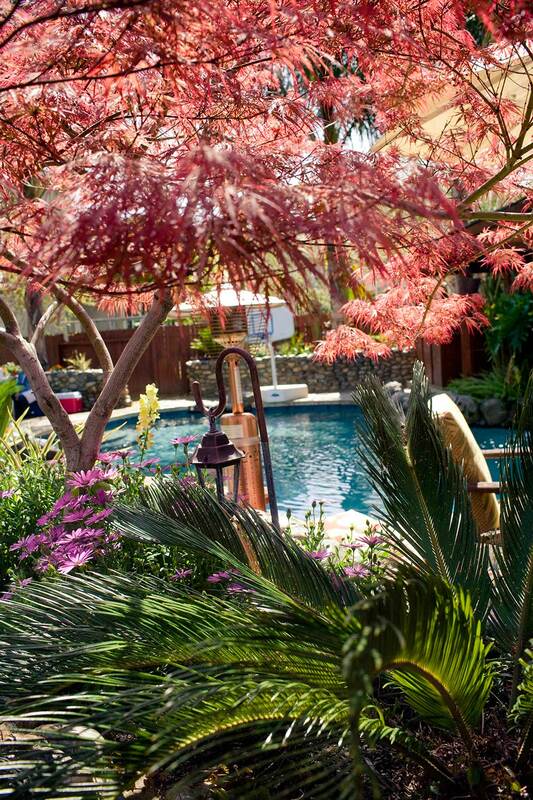 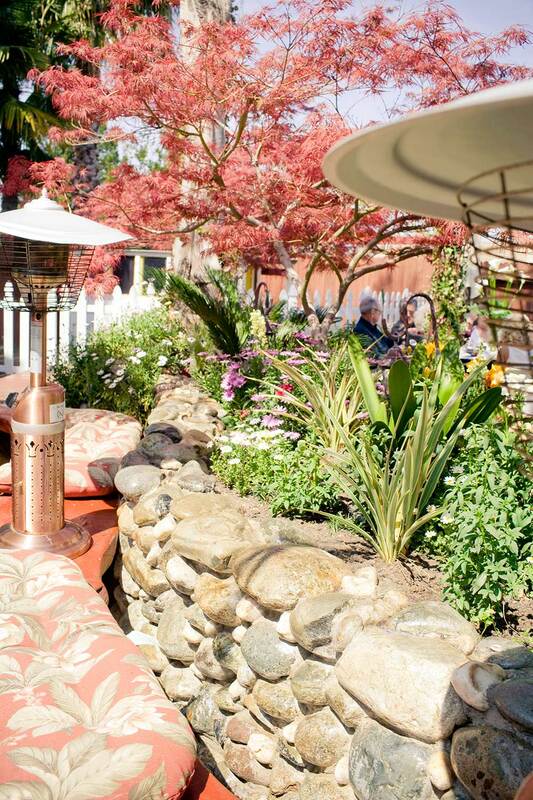 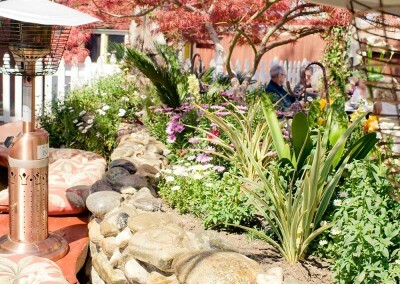 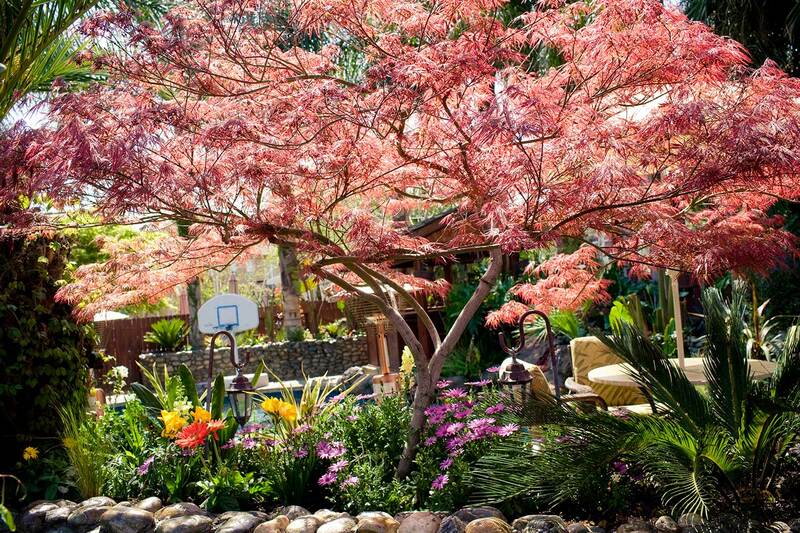 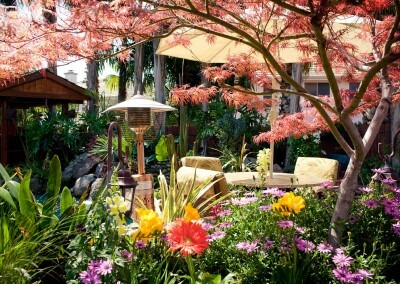 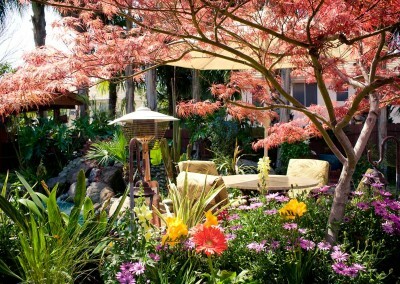 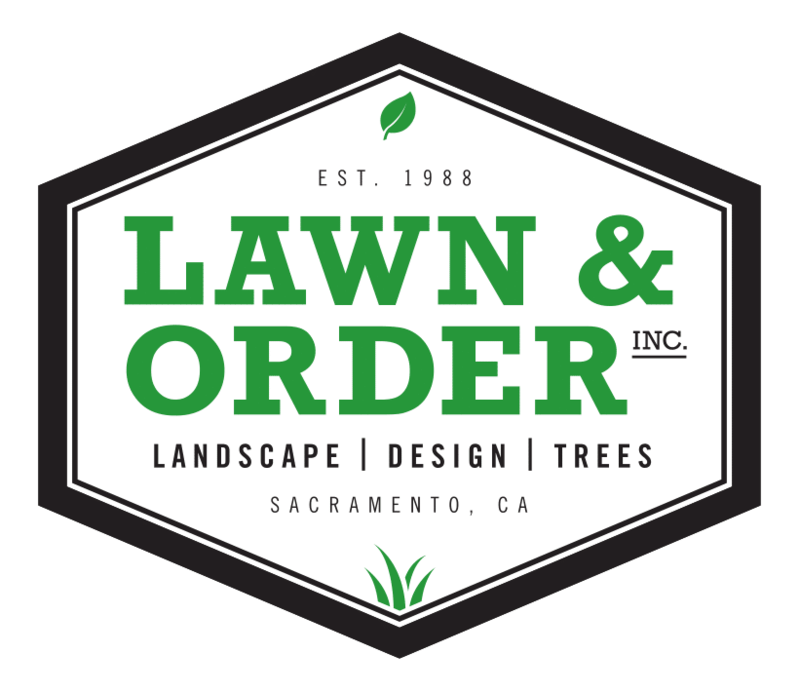 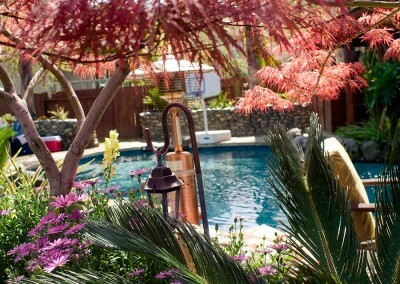 The stone retaining walls contain several types of palm trees, Japanese maples, annual flowers and ground covers. 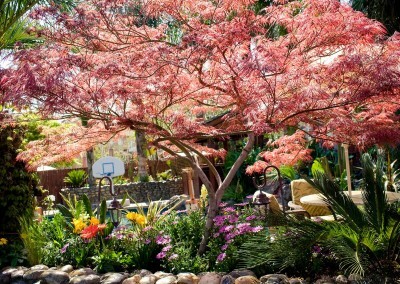 This gives the yard an evergreen feel throughout the year. 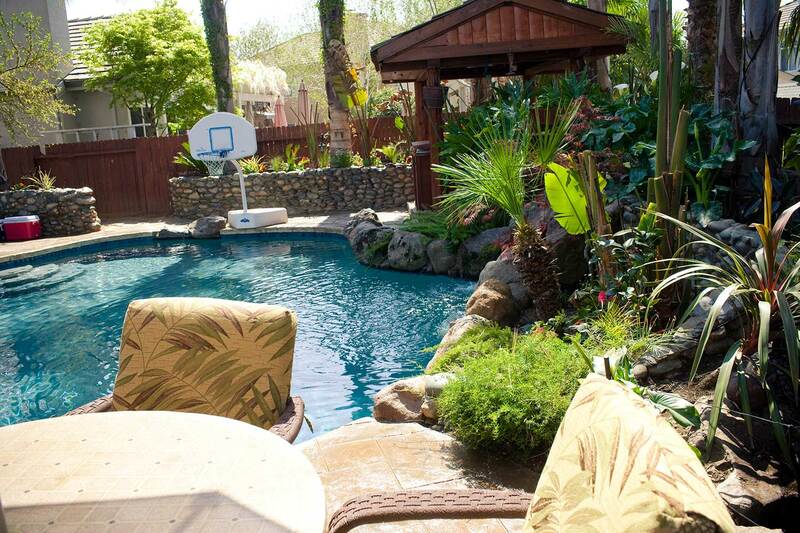 The yard features a custom pond, custom made spa cover, misters throughout the entire yard, paver patio and basketball court, enclosed dog kennel, wine barrel garden, BBQ island and playground.